Established in 2014, set up by business partners Andy Mansell and former Cheriton Flower Pots brewer Iain McIntosh, Red Cat Brewing operates from a site in Winchester, Hampshire. Launched with the sole aim of creating “imaginative, stunning craft beer”, Red Cat also strives to experiment with a range of different styles and processes in attempt to learn more and ultimately innovate. This has lead to a range of imaginative specials, including lemon infused Kairos, Huehuetenango coffee cream stout and multi-grain Blue Monday prohibition beer with honey. Using a traditional English mash set up, Red Cat’s equipment from Malrex produces beer at 11 BBL or 16 BBL, with the copper fired by a 100kW gas burner which drops back to 30kW once the boil has been achieved, ensuring a superb rolling boil and conversion of hop acids to bittering form. In production, British malt is used almost exclusively, while high-quality hops are sourced from around the world. Rather than hops, however, Red Cat’s brewing team also believes yeast is the most important part of the brewing process, using a house strain from Surebrew, kept healthy with occasional acid washing and a re-pitch every 20 to 30 weeks. Finally, local tap water is also utilised, pumped from chalk aquifers, thus 100 per cent saturated with calcium carbonate, which makes the water slightly alkaline and perfect for dark beers. 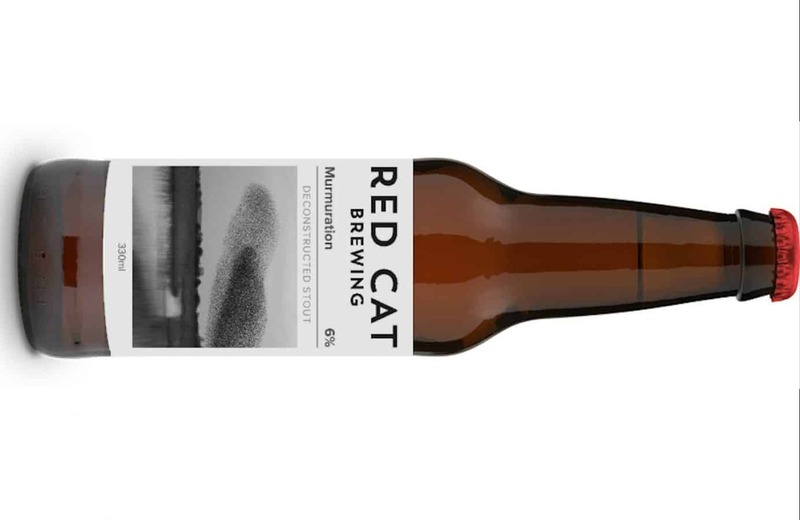 Brewed using a new ‘deconstructed’ process designed to coax optimum flavour and aroma from the roasted malt, Red Cat Brewing’s Murmuration is a Deconstructed Stout. Naturally conditioned and un-fined, the beer has a dark complexion with decent lacing, capped with a tan head. On the nose, aromas of dark chocolate and coffee are instantly recognisable alongside trace lactose, biscuit and some very feint caramel. Notes of coffee and lactose continue on the palate with a whisper of chocolate alongside some hints of vanilla ice cream and a complex malt character. Roasted coffee is also present on the lingering finish with a smooth, slightly fizzy mouthfeel. Bravo. Further information on Red Cat Brewing can be found here.